Kidz-to-Adultz-up-North provides a fantastic opportunity for parents, families and carers to try out and compare the latest products and services to assist people with disabilities. Find us on: Stand C19. For the very first time, Disabled Living’s Kidz event in Manchester has been expanded to now offer greater support for disabled young adults up to the age of 25. 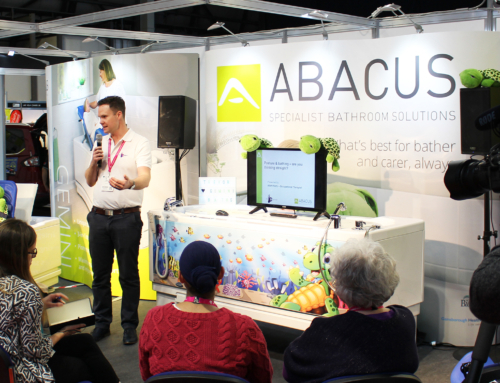 This diverse and engaging event provides the perfect opportunity for Abacus to showcase it’s power-assisted baths face-to-face with families and healthcare professionals. 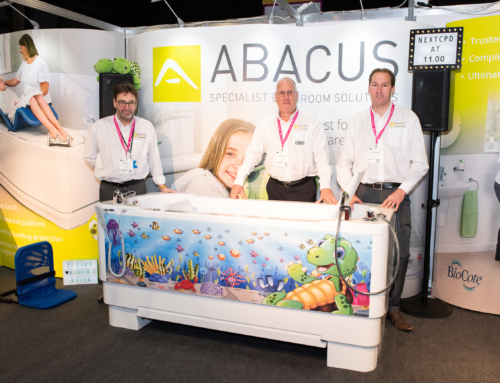 Abacus Product Specialists will be on-hand throughout to discuss accessible bathing needs and demonstrate its wide range of specialist baths. Its versatile height adjustable baths ensure bathing a disabled adult or child at home is simpler, more comfortable and far safer as carers can avoid excessive manual lifting. Abacus will have fully-operational Gemini and Aries baths for visitors to try out on stand C19. The Gemini’s unique 3-in-1 variable-height changing, bathing and drying platform makes it a popular choice among both therapists and end users. The variable-height Aries bath also provides a safer, more enjoyable bathing experience and is suitable for use with mobile and ceiling track hoists. Both the Aries and Gemini baths are compatible with a range of postural supports to fully customise the bathing experience.